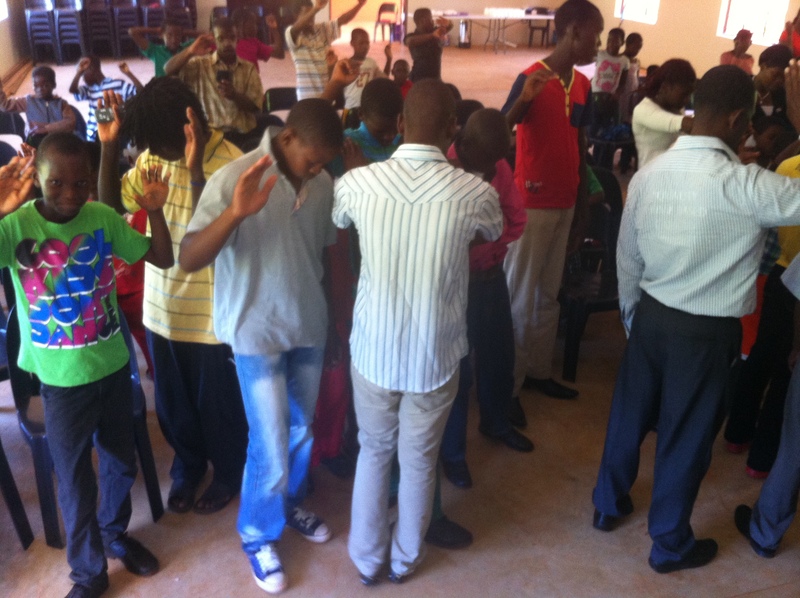 The church of Hhelehhele was launched this past weekend. Pastor Mncedisi and Purity began services on Friday. In a torrential downpour, Friday night’s service brought in 10 people from the community. Four of which received Christ as their personal Lord and Savior! Another twelve people arrived by the time the service had ended. All who were in attendance walked quite far in the rain and mud to get to church! At the Saturday service, there were 60 in attendance with more salvations. 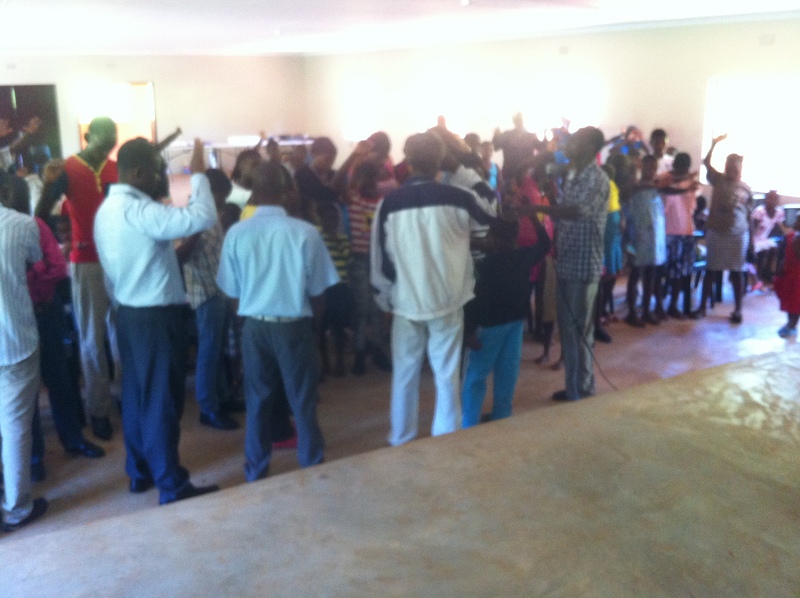 The first Sunday morning service, 92 people came to hear about the saving grace of Christ. The altar call was for freedom and deliverance and it was a full altar where many were prayed for! God is up to something big and we are believing for great things. Pastor Mncedisi preached with such confidence and he and his beautiful wife Purity truly showed the love of Christ to their community. It was very obvious that relationships had already been built prior to the launching of this church! You will remember we shared about Christmas parties at the Care Points back in December. 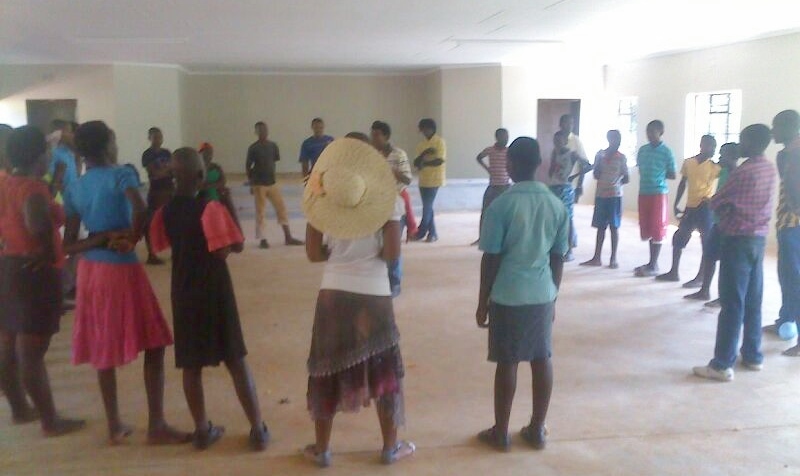 At Hhelehhele’s Christmas party, the youth had an issue with a young man who brought a knife and was threatening other students. He apparently has been known for causing havoc and our leaders ended up having to ask him to leave the party. Praise God, this young man got saved at the Saturday evening church service! We are rejoicing for such an amazing start to all that God has planned for this community! We are praying in a worship team, as well as many more lives to be changed! 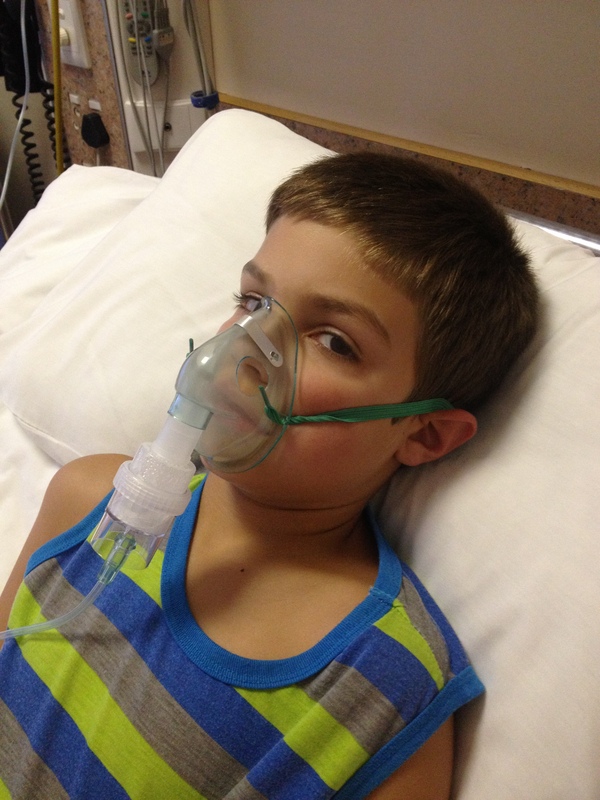 Three out of four of us have recently come down with bronchitis which unfortunately has moved our January newsletter into February. The past week has been a week of recovery and not much else. Brielle also celebrated her 11th birthday so we were busy making sure her birthday weekend was special. 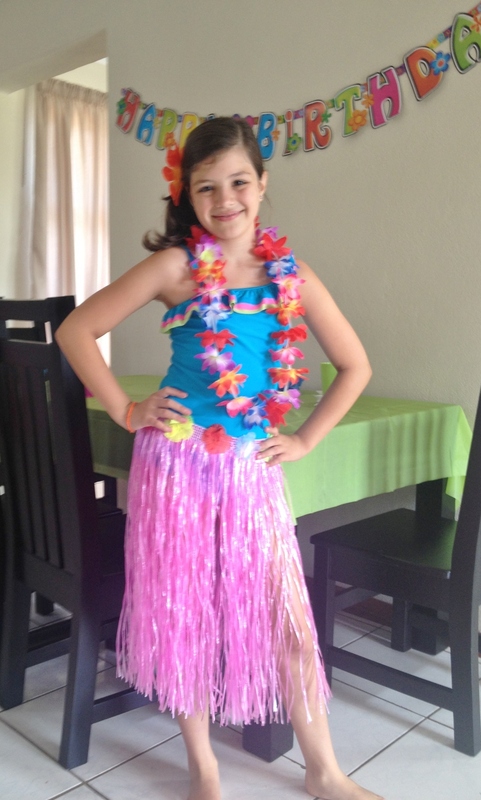 It was quite fun having a Luau party in January! Things are getting busy and we’ve gone through some pretty big transitions in the past few weeks. We have been praying about the homeschool situation for some time now because we didn’t feel good about the way things were going. After a lot of discussion as a family, we decided to take a tour of a local private school that we’ve heard great things about. 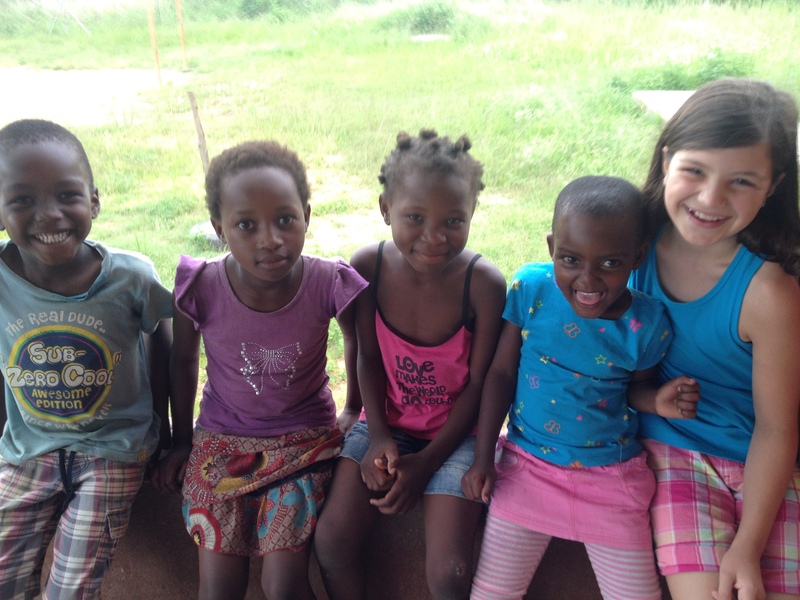 Sifundzani is a Christian school that is on the British system of learning and is one of the top schools in Swaziland. It is the school of choice for the king’s children so that says something! 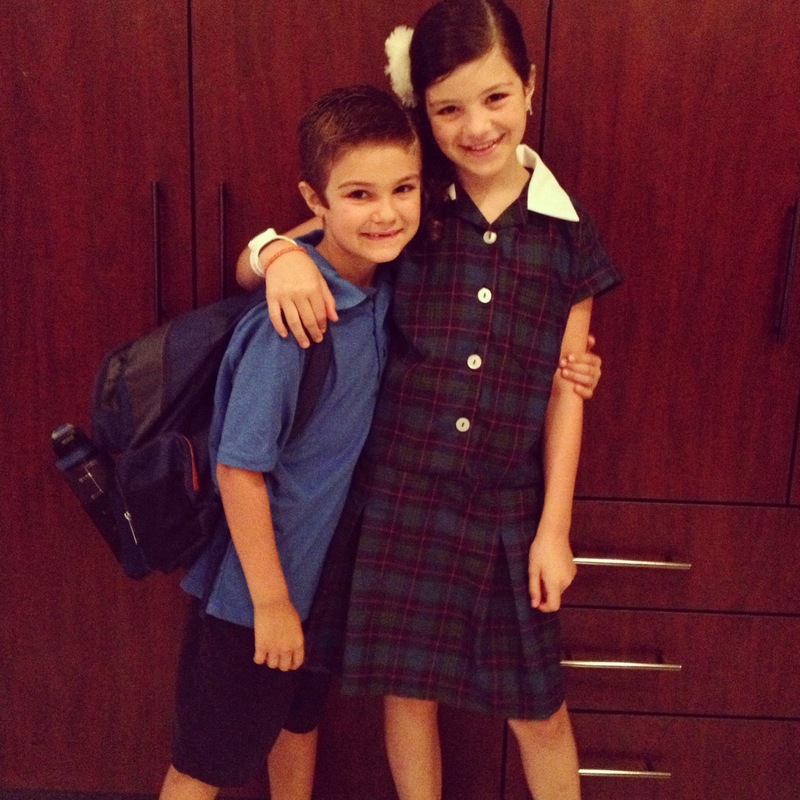 After touring the school, Brielle & Caden decided to take the entrance exams. Caden tested for second grade and Brielle tested for fifth grade. The kids jumped right in and after their first day they were completely comfortable. They have made friends, have both gotten involved in a lot of after school activities and are really enjoying being back in school with kids their own age. After one week of school, Brielle’s teacher decided that she should not be in the fifth grade so the administration gave her the 6th grade entrance exam. She passed with flying colors and has now been moved up to 6th grade. She is on the swim team, is in choir, is taking piano lessons and recently started playing baseball. Caden is still taking swimming lessons and now has started soccer and baseball. We believe that God led us to this decision and He has confirmed our decision in so many great ways! The Global Leadership Academy began classes this week. This week we got the opportunity to meet the new students and share testimonies. Chad and I will be teaching about small groups and working alongside the support staff. We are very excited about this opportunity and feel blessed to be a part of such an integral part of training up future pastors and leaders. The church of Hhelehhele is launching Sunday the 17th. We are working on all of the preparations to begin services. Mncedisi & Purity are excited and ready. They have been holding Bible studies every Saturday for quite a few months now and have been going from home to home helping families with plowing or projects around their homesteads. They recently held a “fun youth night” a couple of Fridays ago in which 45 youth kids showed up! God is up to something big! 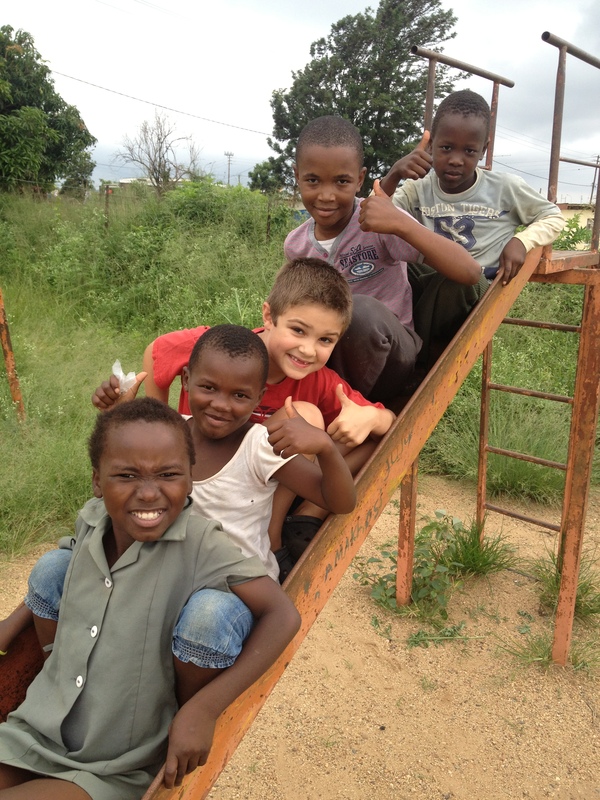 They have been changing lives in their community through relationships that they are taking time to build. They are truly a couple who display humility and love in all that they do. We’ve said it before, but we honestly count it a privilege to get to work alongside them on this exciting journey. They are also expecting a baby boy the beginning of April. Wendy is throwing a baby shower this Saturday to celebrate this new addition. A major prayer need we currently have for Hhelehhele is the need to build a foot bridge. Currently there is a small river that runs through the community which divides the community in half. 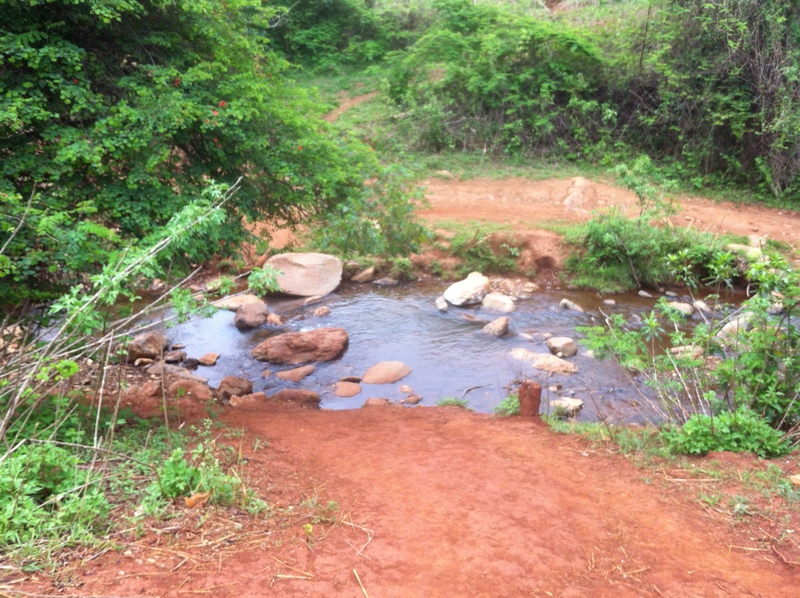 The children have to cross this river daily to come to school or to the Care Point. Two children recently drowned trying to cross the river. 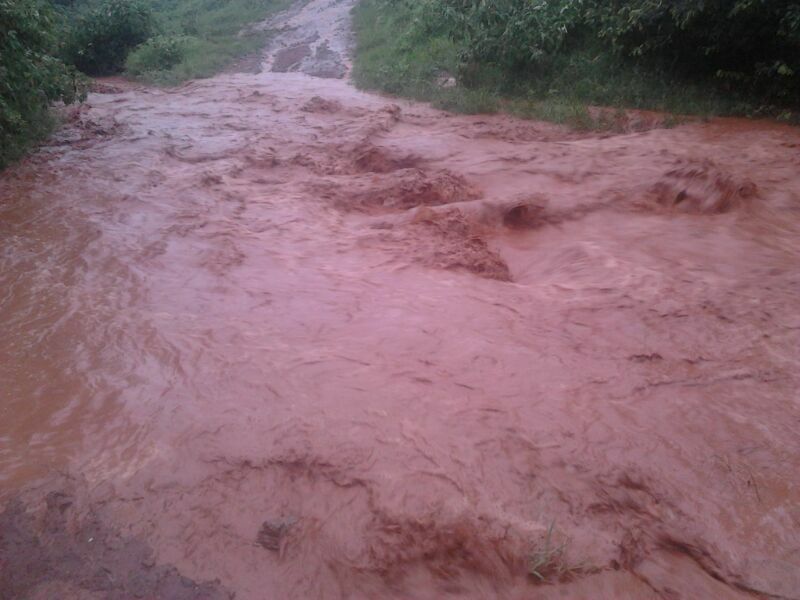 Pastor Mncedisi & Purity are currently living on the “wrong side” of the river so when the rains are intense, they are not able to travel across to the church or care point. The church is looking to partner with the community to build the bridge, but it will cost around $500.00 for the materials. This is a great opportunity for the church to pour into the community. Please join us in prayer for this pressing need. The first picture below is when the river is crossable and the second picture is after a few days of rain. We are all excited for Wendy’s parents to come for a visit on the 20th of February. 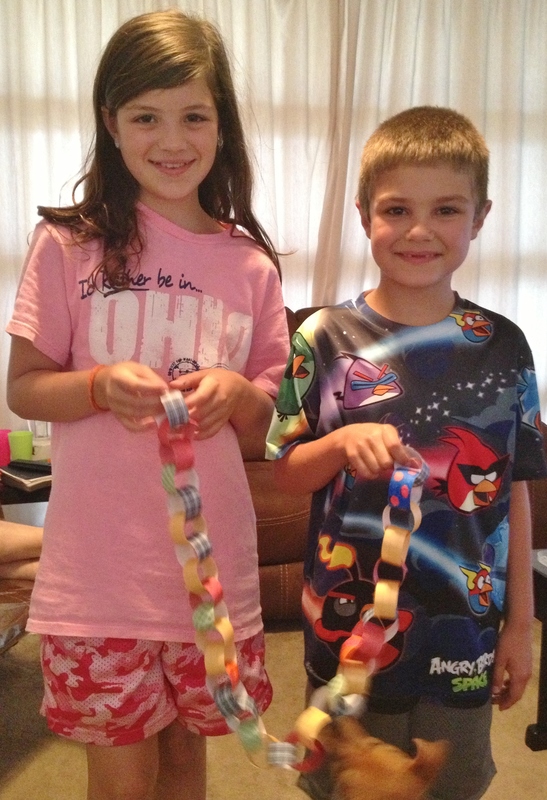 The kids have made a chain counting down until thei r arrival. We are busy, but are enjoying every moment of our experiences here and are continually praying for God to show up on a daily basis. Wendy is attending a weekly women’s Bible study which has been a great outlet for her. Chad is attending a men’s breakfast once a month and is meeting with young pastors and prospective pastors weekly for discipleship. We would like to ask for your prayers for our finances. We are doing okay, but we are not receiving monthly what was pledged before arriving on the field. This has simply caused us to cut back in any area we can. We are praying about releasing our security guards the beginning of April and are also actively searching for less expensive housing. The trick is the security of the homes. We know that God will continue to take care of us and provide and we will continue to trust Him. On a “bookkeeping note”, we want to make sure that if you are sending support to Children’s Cup, you are making note that the funds are to go to Chad/Wendy Owens or the Owens family. If you have not labeled your check or online giving, your funds have more than likely gone into a general fund account. We are currently short $385 monthly in funds that were pledged. We covet your prayers and we want to make certain that we make the right decisions moving forward. We love you all and are so grateful for you!